First, a shout out to Blaster Revolution on Facebook, who found and posted a link to the WSJ article – otherwise, I would’ve been too busy playing at the Penn State HvZ Invitational to notice! There’s always great stuff on that page, from war pictures to new 3d cosmetic kits and more. After years of competing, Zuru has made enough of a dent in blaster sales for people to take notice. As per the Wall Street Journal (there is a paywall, sadly), Zuru has taken a significant amount of shelf space with $20 and under blasters, especially when Nerf has been making more expensive blasters, up to and including the (originally) $200 MSRP Prometheus. There are a lot of interesting points in the article, quoting various sources in the industry. Nerf currently holds above 70% of shelf space. Estimated wholesale Nerf sales (estimated, since Hasbro doesn’t break this particular info down) dropped 22%. However, this also coincided with the fall of ToysRus. 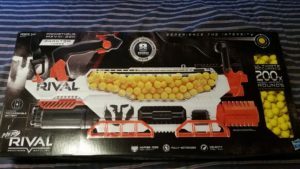 Xshot, in particular, increased shelf space by more than a third – they now have a large presence both at Target and at Walmart (several blasters are sold under the Adventure Force brand). Since Zuru owns all its manufacturing facilities (which are basically fully automated), they can not only make blasters at low prices but offer good margins for retailers. Interestingly, the article offers some details about Boomco, Mattel’s effort to nudge onto blaster shelves. Mattel had larger pockets, but ultimately couldn’t get a good foothold. While it had its merits and unique features, Boomco ultimately fell in three years, especially after Hasbro began pouring money into advertising and social media promotion. Ultimately (personal opinion), it’s hard to pour products into the exact same target market and demand an adoption of a new ammo ecosystem. 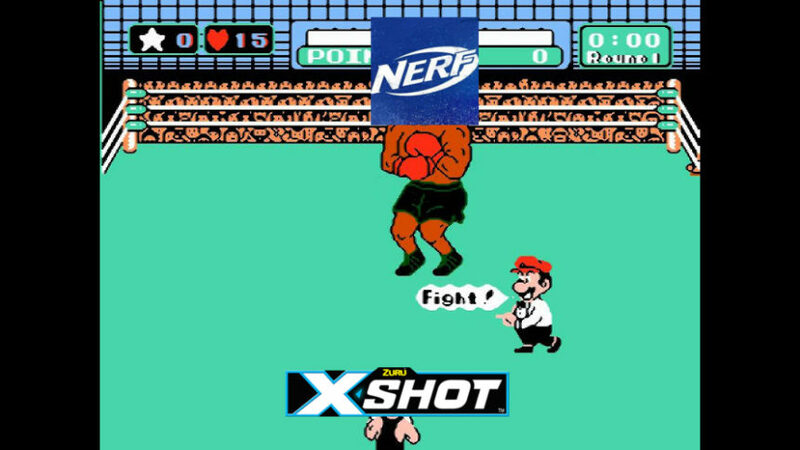 Other brands either use compatible .50″ darts or (in cases like Nerf’s own Rival line and subsequent competitors) deliberately target an older audience. Instagram post from Foam Dart Nation. Hasbro expects to grow Nerf sales this year with a new series of cross-branded blasters modeled after weapons used in popular videogames like “Fortnite” and “Overwatch” as well as the lower-priced line set to debut in the latter half of 2019. As we know from Toy Fair, Zuru will be attacking on several fronts. Not only will they be offering blasters in new color schemes in a branding deal with Ninja (the professional video game player and streamer), but they will also be offering their own take on ball blasters with the Chaos line. 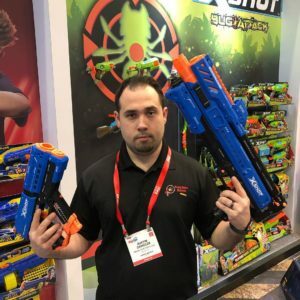 This entry was posted in News/Updates and tagged 2019, adventure force, blaster, blaster hub, fortnite, hasbro, nerf, news, xshot, zuru on April 7, 2019 by BuffdaddyNerf. I use Boomco more than nerf actually. I am very excited for the Zuru Meteor, though.